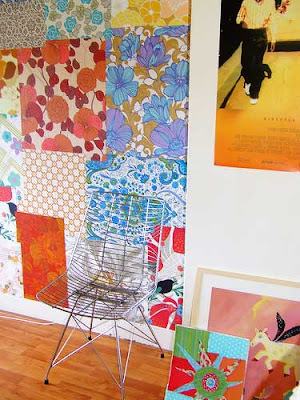 For those of you who don't like patterned wallpaper, look away now, because you're REALLY not going to like this! Ever wondered what to do with all those left over bits of paper? 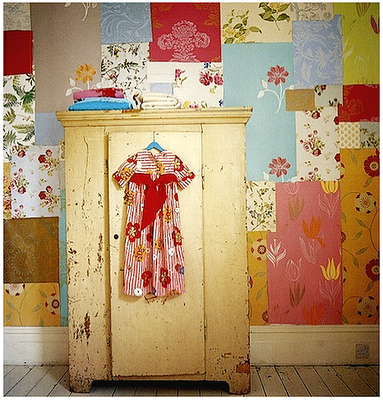 Well you could go a little nuts and try a wallpaper patchwork. You could always start off by blue-tacking them to the wall, just in case not everyone in the house appreciates it as much as you. But I think this idea would work really well in a kids room, I've always like the idea of using vertical stripes of different wallpaper. 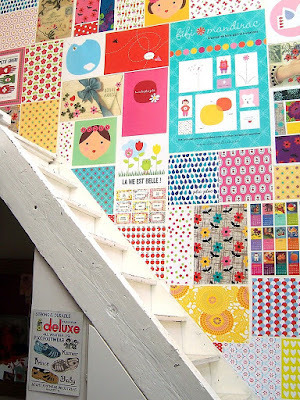 From top to bottom: DIY wallpaper from the book Flea Market Style, a wall in the home of Dutch artist Ninainvorm, interior of French designer and stylist Fif Mandric via decor8blog.